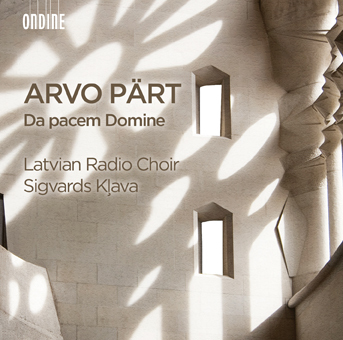 The deeply spiritual and timeless music of Arvo Pärt (b. 1935) has touched many listeners in a profound way during the last few decades. Today he is among the most frequently performed living composers. This new recording includes eight choral pieces by the Estonian composer performed by the prestigious Latvian Radio Choir under Sigvards Kļava.